DINAMEC and SCHWING offers the solution for all your thermal cleaning needs. Our solutions safely remove all organic substances from all kinds of metal parts no matter the industry. From paint, powder coating, plastic, polyesters, and rubber, we can remove it. Our machines can be found in a wide variety of industries with over 2,000 installations worldwide. We ensure a clean and healthy stripping alternative to more traditional methods. Our technology offers many benefits from optimal results, no abrasive damage to tools or parts and a high operating capacity with low operating cost. Looking to remove the sand cores from your aluminum castings? This is often a tedious job due to the integrated design and hard organic binders. 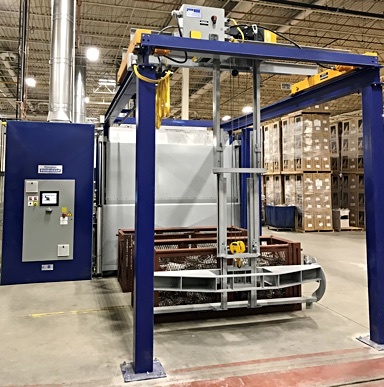 The Dinamec Systems’ Deco Fluid Bed Installation is the perfect solution for the gentle and smooth decoring of aluminum parts. Traditional methods take long periods of time, cause deformation or damage and have a high operating cost. Our systems offer quick cleaning time, no damage of parts and all at a lower operating cost. We are your decoring solution. 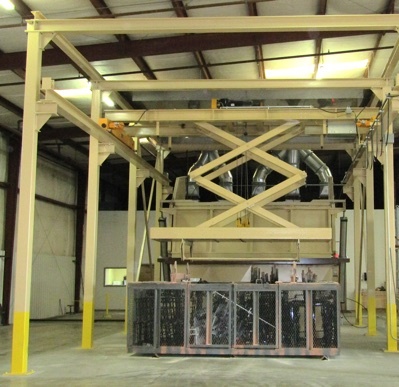 trial cleaning at our testing facility in Acworth, Georgia. We are proud members of CCAI GA Chapter. To find out the advantages of membership click the logo, or contact Samantha Paulson.